Designed and worn by James Stewart, the Seven Rival gear raises the bar on motocross performance gear. Utilising the latest technology, the Seven gear is designed to reduce excess bulk with a tailored, athletic fit. Setting a new standard in race apparel. A plush light weight moisture wicking performance based jersey tailored with laser cut precision. 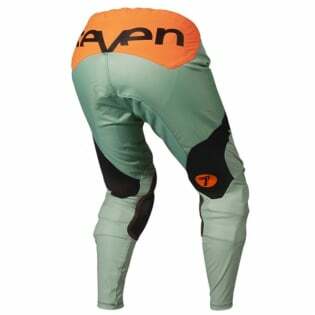 A durable, breathable, light weight moto unit for athletes who punish everything in their quest to reach the top. 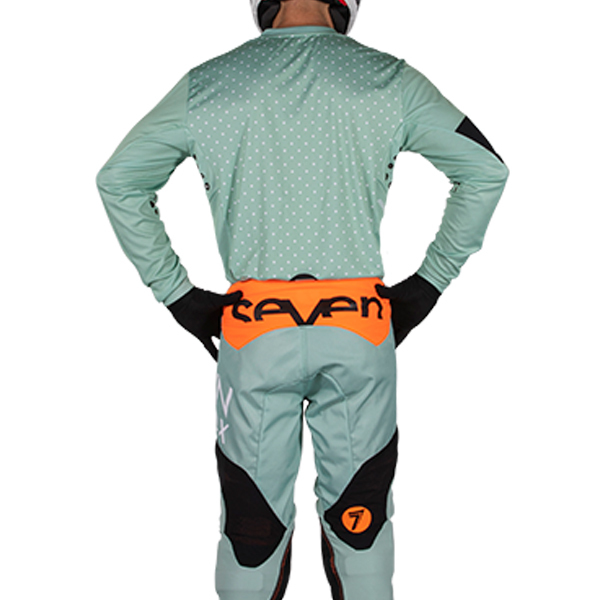 The Seven MX Rival pants have a race cut construction that maximizes flexibility, comfort, and support for the rider. 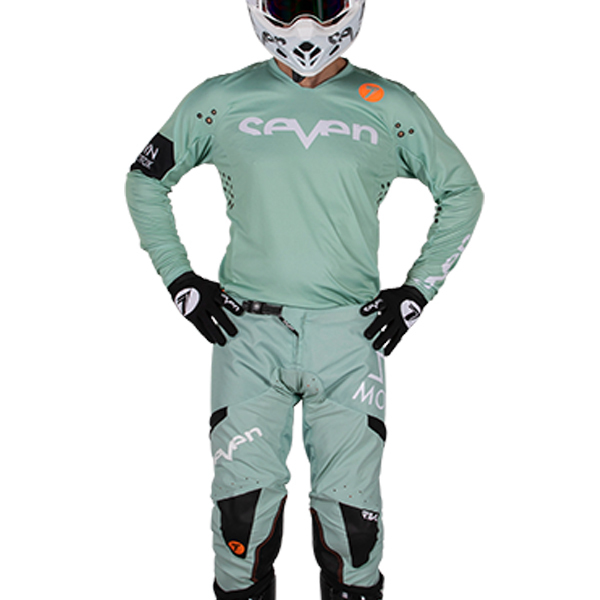 The Rival pants are made from a durable polyester material that increases breathability for maximum airflow and integrates air intake panels that help regulate your body temperature. 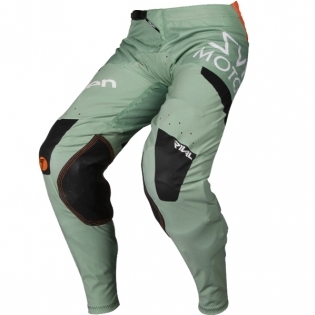 These Seven MX Rival pants also incorporate heat an abrasion resistance top grain leather to protect your knees from the heat radiating off of your exhaust pipe, and engine. These are some of the best motocross pants on the market and Seven MX designed them flawlessly.